The Fisher Price 4-in-1 Baby High chair is an innovative space-saving idea that gives you 4 baby essentials in one. It can be started off a High chair, and then snapped into Feeding chair or toddler seat frame as per your convenience. This 4-in-1 baby high chair is sure to accompany you, as your little one grows older over the years. It can be turned into two separate chairs,One for the baby and other for the mother and When the baby grows old it can be turned in to a table and a small chair. 4 baby essentials in one bundle! Infant Swing •	6-speeds for variety •	3-point restraint •	Comfy stain-resistant seat pad •	Approx. 0-6 Months, Maximum weight: 25 lbs. •	Use Swing from birth until child becomes active and attempts to climb out of the product. High Chair •	5-point restraint •	Comfy stain-resistant seat pad •	Approx. 6-24 Months, Maximum weight: 50 lbs. •	Use High Chair only with a child who has enough upper body control to sit up unassisted. Newborn Seat •	Great for feeding or napping! •	3-point restraint •	Comfy stain-resistant seat pad •	Approx. 0-6 Months, Maximum weight: 25 lbs. •	Use Infant seat from birth until child is able to sit up unassisted. Toddler seat •	Holds toddlers up to 50 lbs.! •	Comfy stain-resistant seat pad •	Approx. 18 Months & up, Maximum weight: 50 lbs. 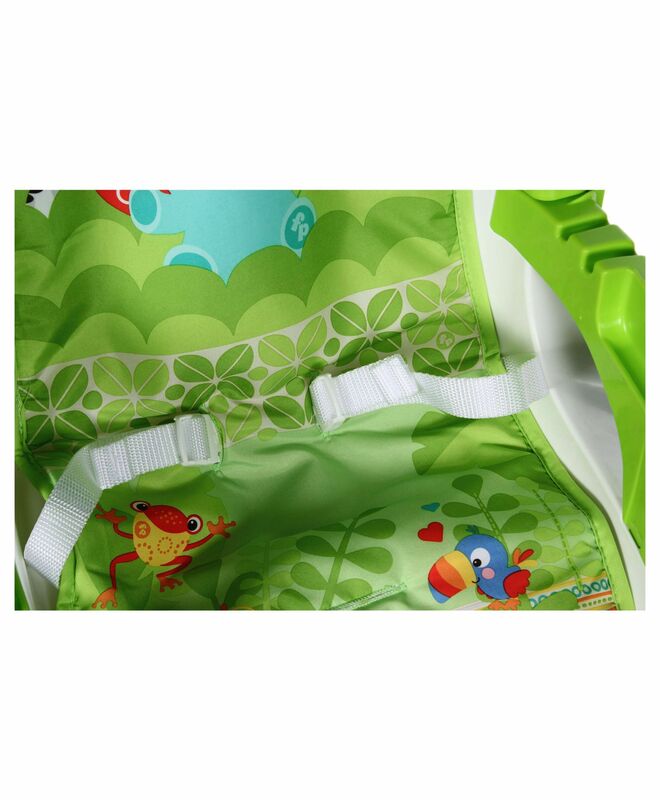 •	Use Toddler seat only with a child capable of getting into and out of the product unassisted. 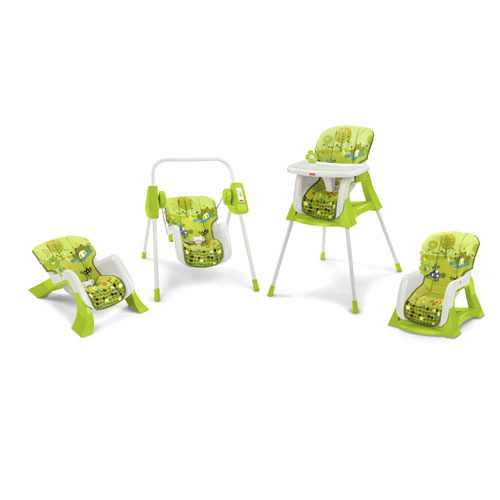 To Recieve updates and possible rewards for Fisher Price Fisher-price Green 4 In 1 Baby Chair please sign in. To Recieve updates and possible rewards for High Chairs please sign in.